The supplementation with antioxidants during the preparation processes performed for ART such as density gradient centrifugation has been proposed and evaluated in the treatment pathway for ROS generation . In addition, sperm-oocyte fusion can be enhanced by halting the production of ROS by immature spermatozoa and leukocytes by the addition of antioxidants to the culture media  . In addition to antioxidants, the pharmacological treatment of leukocytospermia with therapeutic concentrations of specific antibiotics has been shown to decrease leukocyte-produced ROS. Example of such drugs includes tetracycline and erythromycin, which can inhibit the actions of PMN-granulocyte I 1]. 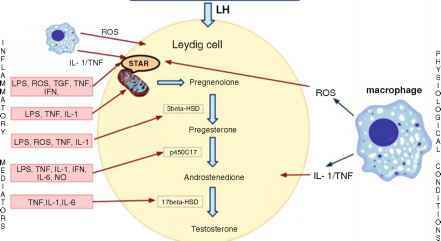 Pharmacological findings further open the avenue for the treatment of leukocytospermia with drugs to avoid a state of damaging OS. Diagnostic and prognostic tests which allow for the measurement of the OS levels could be a considerable contributing factor in the treatment of idiopathic infertility . Dietary supplementation with foods containing high concentrations of antioxidants such as carotenoids, vitamin C, and the main chain-breaking antioxidant vitamin E offers an additional line of defense against OS-induced injury . An additional avenue into the beneficial effect that antioxidants have is shown by the cyroprotective effect that they have over sperm when added as supplements in the cyropreservation process  .